We consider 26/01/2011 as DataMeet birthday. Thats the day we talked about starting DataMeet and hence it is the birthday. But the first email to the group was sent by S.Anand on 27/01/2011. Its been five years since that first email. I took this opportunity to scrape the email list to see how we are doing and what we talked about in last five years. 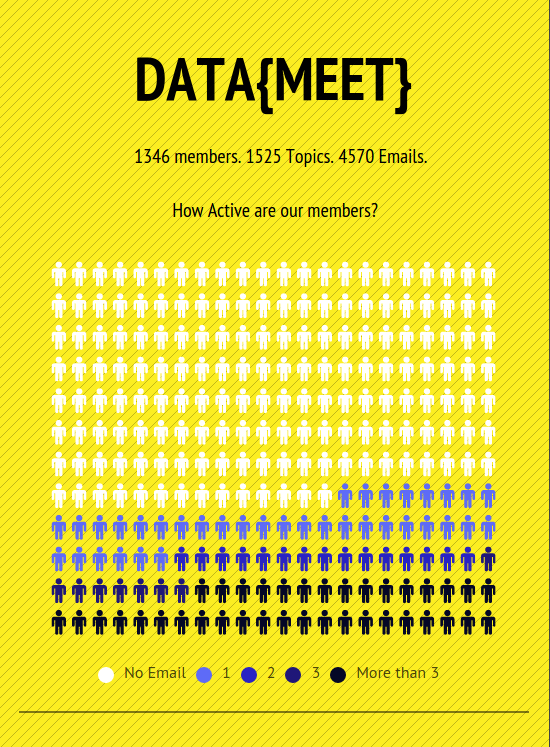 Members have started 1525 and have sent in total 4570 emails. But most important is how many participate. Go have a look at full view of the traffic graph. Except for few peaks the group has been fairly consistent. We have discussed about 1525 in last five years. Here is the list of top 20 starters. The first responders are important when someone posts a question. They are the first ones to respond to the questions. As you would have guessed the list is different from the starters list. These are the members who have participated the most. We have discussed many many topics over years. But there are some popular topics. I have the list of topics by most replies. Nisha Thompson 2014-05-20 23:51:49 Logo Contest Voting! Sharad Lele 2015-11-27 19:59:49 Census of India seems to have maps of everything! We also get quite a bit of traffic through search engines. So here is the list of top topics by views. Justin Meyers 2014-07-26 22:05:13 668 Updated Taluk Shapefile!! 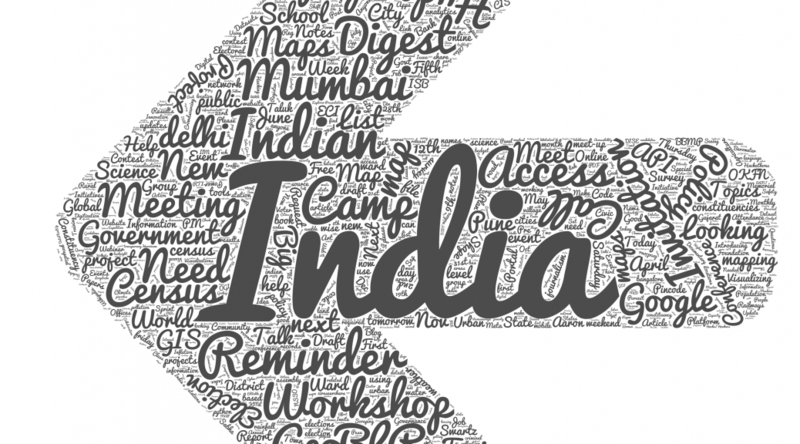 Kavita Arora 2012-09-13 23:32:25 546 Ward Wise data for Bangalore – 2011 census? 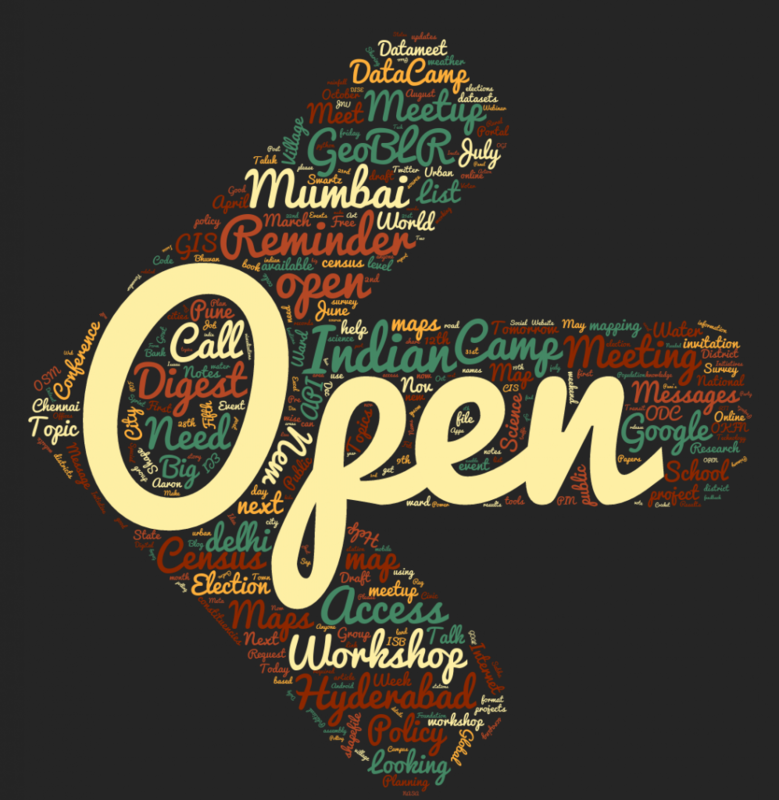 At last customary wordcloud of topics. Of course all the scrapers and data is available on github. Go ahead make your own visualizations. Good analysis of what the team has gone through. It also gives a brief understanding to new members like me on the issues and members who could be of great help within the forum. Thank you once again.